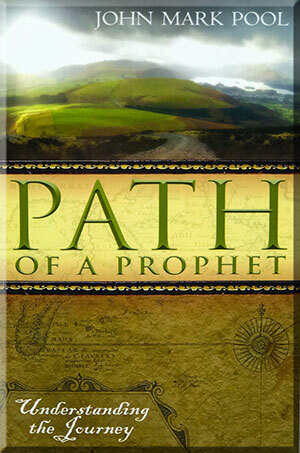 Please watch as I interview John Mark Pool, author of THE PATH OF A PROPHET. What an amazing journey the Lord has John Mark on and he has been sent back FROM HEAVEN to tell YOU the stories of Heaven that changed his life FOREVER!! • Tells of his experience of being caught up to Heaven, meeting the brother he had never met, seeing the streets of gold and the "pearly" gates, an encounter with an angel that had told him that he had been under a death curse which God was now using for His good. • Understand what "prophetic gifting" really is—including speaking on God's behalf over someone else's life. • Learn from incredible success stories (and some embarrassing failures) — how to deliver prophetic words to friends and strangers alike. Also we put together a new and exciting offer by John Mark Pool exclusively for our Elijah Steams viewers. To view and order his products click here. 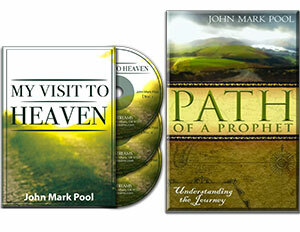 Call RIGHT NOW to order John Mark Pool's unique BOOK, PLUS THREE-CD pack called "My Visit to Heaven!" You'll receive John Mark Pool's best-selling book and CD set, called "My Visit to Heaven" — including the book: "The Path of a Prophet" — so you can understand what it takes to learn to become a prophetic voice to others. John Mark Pool shares from his own challenging journey of walking out his prophetic calling, even being caught up to Heaven, and learning more about his life on earth right now! Read amazing stories about how God taught John Mark about his own personal prophetic gifting. Learn how God likes to show His children about their own personal destinies.